Julbo has produced a stylish frame for cross/mountain bike hoppers to reflect both their spirit of adventure and technical ability. All-terrain and all-protection, the Shield will open both your field of vision and your mind to what's possible: Zebra or Cameleon photochromic REACTIV lenses for perfect vision, and non-slip curved temples with Nose Grip, so they stay on your head when things get bumpy! Air Flow ventilation and removable soft-feel side shields guarantee maximum comfort. The sleek rectangular shape ensures style and bold moves go hand-in-hand. Spectron polycarbonate lenses are light and offer good shock resistance, making them suitable for all outdoor sports. Spectron 4: Cat. 4 lens with flash finish and AR coating. Recommended for all sports where sunlight is exceptionally bright. Anti-reflective coating: reduces eyestrain by eliminating reflective glare. Flash finish: improves filtration of visible light by applying a mirror effect to the lens. Blocks sunlight and increases the filter effect. Brown tint: accentuates relief. Available in RX Trem (prescription sunglasses program). REACTIV Photochromic lenses: Your Reactiv lenses get darker or lighter to match changing light conditions. Whatever the weather, Julbo guarantees perfect vision and long-lasting protection for your eyes. Zebra: Cat. 2 to 4 photochromic, anti-fog lens. High-speed activation makes this lens ideal for mountain sports with variable light conditions: mountaineering, skiing, trail running, climbing, etc. Category 4 lenses must not be used for driving at any time. Wide photochromic range (cat.2 to 4). Fast activation speed: changes from category 2 to 4 in 22 seconds. SHR (Super High Reactive): the lens is even more reactive and gets lighter faster. Gold/brown tint: excellent light receptivity and protection. Suitable for prescription lenses: available in RX Trem version. Cameleon: Cat. 2 to 4 photochromic, polarized, and anti-fog lens. 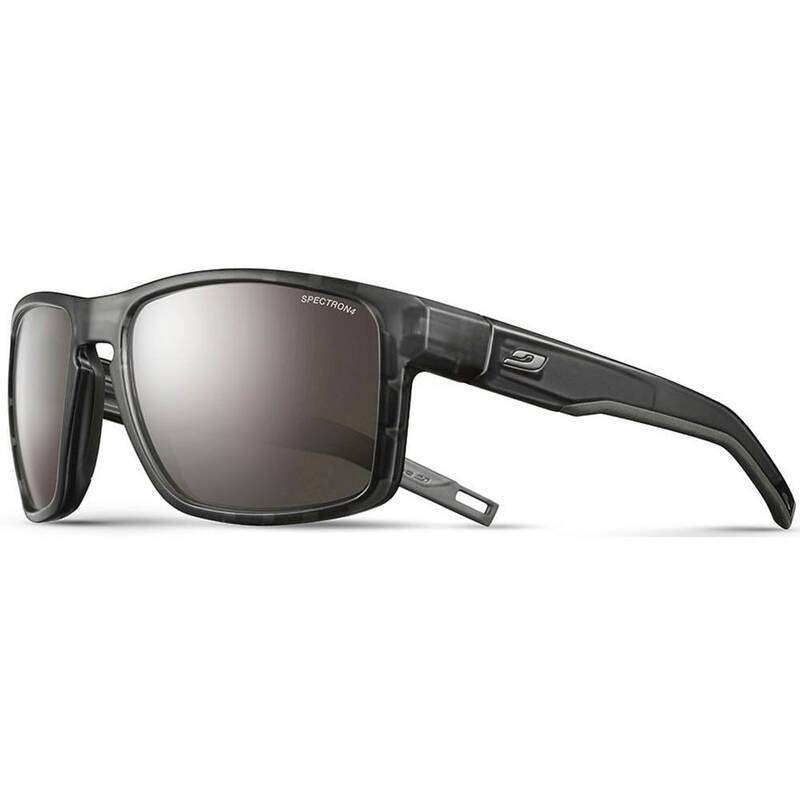 Ideal for extreme visual conditions: desert, sailing, high mountains, and skiing. Better reading of relief and maximum protection, thanks to polarization. Category 4 lenses must not be used for driving at any time. Cat. 2 to 4 photochromic lens.